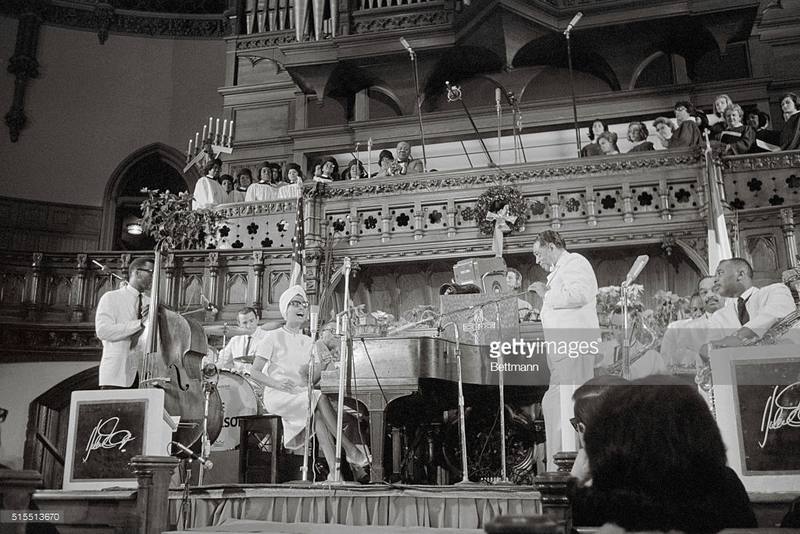 On December 26th 1965, Duke Ellington took the stage at the Fifth Avenue Presbyterian Church in New York City for a performance of what he would call the most important work he had ever done. 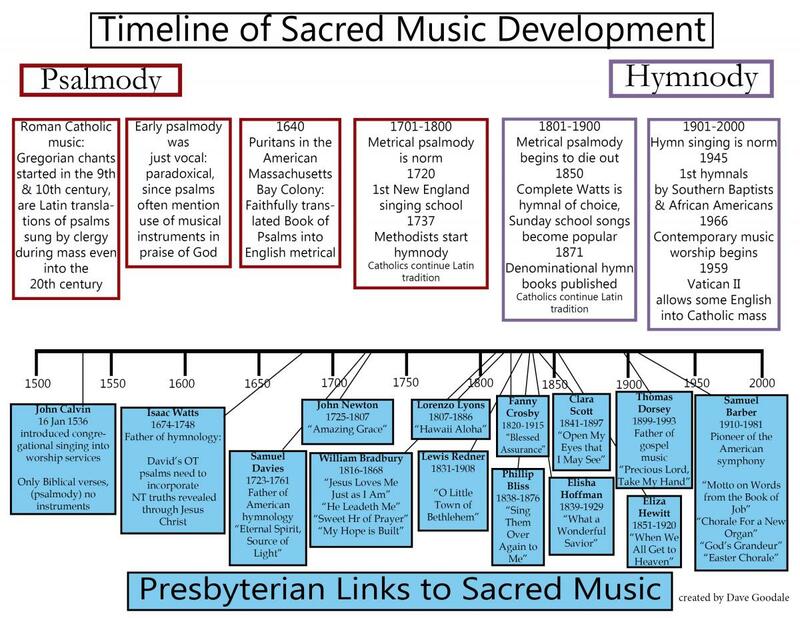 That day he performed one of his three “Sacred Concerts.” These concerts were written in the later stages of his life as he found himself grappling with his own mortality and relationship to God. The Presbyterian Historical Society is fortunate to hold within our collections a program from that historic night. The program from Fifth Avenue Presbyterian Church begins with a statement from the minister, Reverend Bryant M. Kirkland. In this statement he eloquently justifies bringing such a well-known secular musician into the sacred halls of the church. 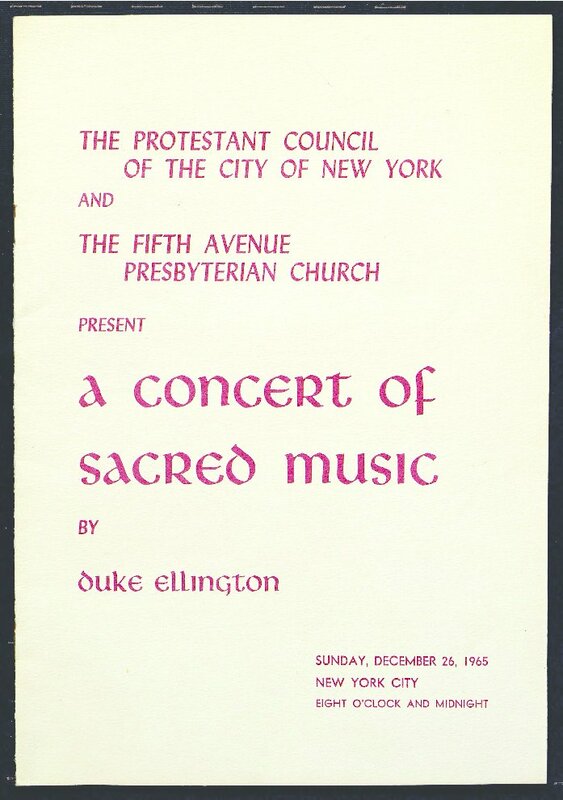 Duke Ellington echoes this sentiment in his description of what the “sacred concerts” mean. He reflects that one of the hardest tasks man faces is honest communication because it requires a level of vulnerability. This vulnerability leaves one open for attack by others. Yet he argues that honest communication is the only answer to the loneliness that is the persistent state of man. It seems strange that Duke Ellington would be writing about loneliness at this stage in his career, when he had already achieved international fame and fortune. Ellington was not, however, writing about a lack of close friendships but instead a lack of a close relationship with God. The honest communication that he is attempting through lyric and melody is an honest conversation with the divine. Whether listening to the plaintive “Come Sunday” that reflects on the harshness of a week spent longing for God only to be granted reprieve on Sunday, or the jubilant, “David danced before the Lord with All His Might,” we see Ellington again and again in dialogue with God. He is speaking through music about his joy and his pain and hoping to be understood. It is this that makes the concert sacred and this that makes the music universal. On June 21st 2018, Kirk Whalum will be performing for the Hands and Feet celebration at the 223rd General Assembly in St. Louis. The concert will include a selection of music he calls, “The Gospel According to Jazz.” By performing this selection, Whalum continues the tradition that Ellington began of using American music as a language to speak not only about God but also with God. 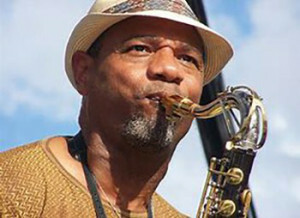 To find out more about Kirk Whalum's concert at GA223, or to purchase tickets, go to the General Assembly registration page.